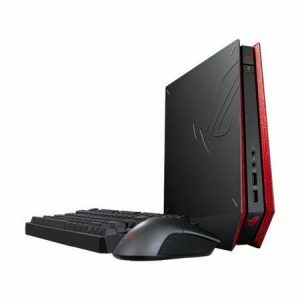 Download ASUS ROG GR8 Mini PC Windows 7 64bit Drivers, Applications and Manuals. APRP Utility V2.0.01 for Windows 7/8/8.1 32bit & 64bit. Intel USB 3.0 Driver V3.0.1.41 for Windows Win7 32bit & Win7 64bit---(WHQL). Intel USB3.0 Controller Driver V2.5.2.32 for Windows 7 32bit & 64bit---(WHQL). Steam V2.10.91.91 for Windows 7/8/8.1/10 32bit & 64bit. ROG Armoury Mouse V1.10 for Windows 7/8/8.1 32bit & 64bit. ASUS Secure Delete V2.00.0000 for Windows 7/8/8.1 32bit & 64bit. ASUS HomeCloud V1.01.04 Install Program for Windows 7/8/8.1 32bit & 64bit. ROG GameFirst III V1.00.16 for Windows 7/8/8.1 32bit & 64bit. ROG Armoury Mouse V1.00 for Windows 7/8/8.1 32bit & 64bit. ASUS PC Diagnostics V1.3.7 for Windows 7/8/8.1 32bit & 64bit. ASUS AI Suite V1.00.85 Install Program for Windows 7/8/8.1 32bit & 64bit. ROG GameFirst III V1.00.11 for Windows 7/8/8.1 32bit & 64bit. ASUS HomeCloud V1.01.03 Install Program for Windows 7/8/8.1 32bit & 64bit. ROG GameFirst III V1.00.09 for Windows 7/8/8.1 32bit & 64bit. ASUS PC Diagnostics V1.3.5 for Windows 7/8/8.1 32bit & 64bit. AI Security V1.03.08 for Windows Win7 32bit & Win7 64bit & Win8 32bit & Win8 64bit & Win8.1 32bit & Win8.1 64bit. ASUS Secure Delete V1.00.0012 for Windows Win7 32bit & Win7 64bit & Win8 32bit & Win8 64bit & Win8.1 32bit & Win8.1 64bit. ASUS WebStorage V2.0.1.213 for Windows Win7 64bit. Intel Smart Connect Technology Software V4.2.41.2710 for Windows 7/8/8.1 32bit & 64bit. Intel Rapid Start Technology Software V4.0.0.1068 for Windows 7/8/8.1 32bit & 64bit.